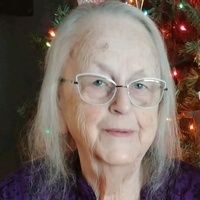 Mary Ness, 77 of Middle River passed away on Tuesday, January 22, 2019 at her residence. The funeral service to celebrate Mary’s life will be held at 2:00 PM on Thursday, January 31, 2019 at First Lutheran Church in Middle River, MN with Rev. Mary Lundquist officiating. 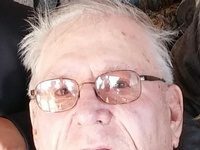 Visitation will be held from 5:00 PM until 7:00 PM with a 7:00 PM prayer service on Wednesday, January 30, 2019 at Johnson Funeral Service in Thief River Falls, MN. Visitation will also be held one hour prior to the service on Thursday at First Lutheran Church. Mary Lou Bowen was born on September 29, 1941 in Alma Township, Jackson County, WI the daughter of Floyd E. and Elsie (Brewer) Bowen. She was baptized and confirmed into the Lutheran faith. She attended country school and graduated from Black River Falls High School. Mary worked various jobs in Minneapolis where she met her future husband Ervin Ray Ness. The couple was married on November 26, 1960 at St. John Lutheran Church in Thief River Falls, MN. To this union three children were born, Lynnae, Kenneth and Kelly. They lived for a short time in Thief River Falls and Middle River, MN before moving in 1965 to Union, IL where Mary worked at Union Special. In 1967 they moved to the Twin Cities until 1973 when they settled on the Ness family farm. From 1973 until 1993 Mary worked as a librarian assistant and teacher’s aide at the Middle River School. She then went back to school at Northland Community & Technical College in Thief River Falls. Mary then worked at Thief River Falls as an aide at the Alternative Learning Center, bookkeeper at Black Magic and Dyrdal Farms and returned to her love of working with kids at Franklin Middle School where she retired from in 2015. 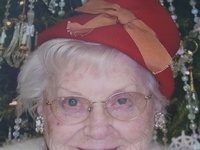 She enjoyed gardening, canning, cooking, reading, crocheting, sewing, animals, 4-H and visiting with family and friends. 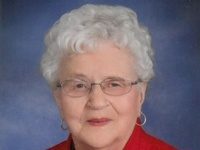 Mary was a member of the American Legion Auxiliary, served as Cedar Township Clerk for almost 50 years, was a volunteer EMT with the Middle River Ambulance and was a long-time member of First Lutheran Church in Middle River where she served as part-time church secretary and Sunday School teacher. Survivors include her husband of 58 years Ervin of Middle River; children Lynnae Sue Toren of St. Hilaire, MN, Kenneth Wayne Ness of Middle River, MN, and Kelly Jean (Mark) Koland of Karlstad, MN; grandchildren Jesse Lynn Toren, Brenna Rae Koland, Morgan Joyce (fiancé Austin Hams) Koland and Claire Pauline Koland; great-granddaughter Amari Hope Toren; siblings Jean Janke of Eau Claire, WI, Dennis (Judy) Bowen of Mondovi, WI and Gerald Bowen of DeForest, WI; and many nieces, nephews, relatives and friends. She is preceded in death by her parents; brothers Melvin and Arnold; nieces Cheryl and Janet; and nephew Gary.